The Munna Bhai director, however, had released a statement saying he was "shocked" when the claims were brought to his notice two months ago and denied sexual harassment allegations. 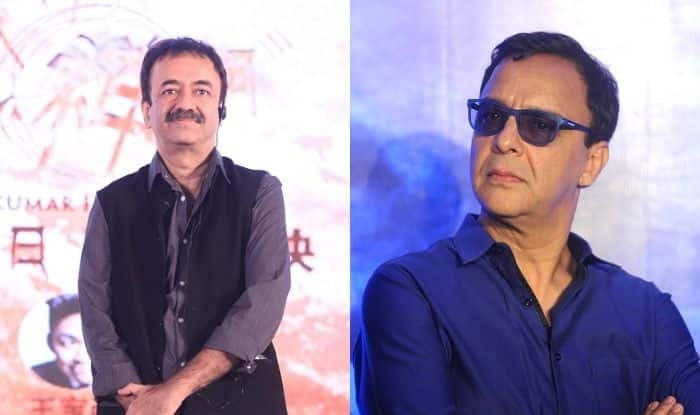 Film-producer Vidhu Vinod Chopra on Monday refused to comment on sexual harassment charges levelled by a woman against director Rajkumar Hirani and said he would speak about it at the right time. Hirani was associated as a co-producer in Chopra’s next film, Ek Ladki Ko Dekha Toh Aisa Laga. Hirani is the latest name to be called out for sexual harassment with a woman “assistant” alleging, according to an article in HuffPost India, that he had sexually abused her more than once between March and September 2018 while working on the film Sanju. When asked about the allegations, Chopra told reporters, “This stage here is for something else, which is extremely important for us, as important as what you’re talking about. This opportunity we should use to talk about this issue and that of course, when there is a right time, we will talk about it.” The woman had detailed her allegations in an email, dated November 3, 2018, to Hirani’s frequent collaborator and “Sanju” co-producer Chopra, along with Shelly Chopra, director of “Ek Ladki Ko Dekha Toh Aisa Laga”. The Munna Bhai director, however, had released a statement saying he was “shocked” when the claims were brought to his notice two months ago and denied sexual harassment allegations. Hirani’s name was eventually dropped from the film’s promotional material, which is releasing on February 1. It stars Anil Kapoor, Sonam Kapoor, Rajkumar Rao and Juhi Chawla.